A funny, modern fairy tale about two spirited princesses who are madly in live. For children ages 5 and up. Marlise Achterbergh was born in the Netherlands, lived in Uganda, studied in California and worked in Norway. When her brother told her he was gay she wrote a book for him as a sign of support. 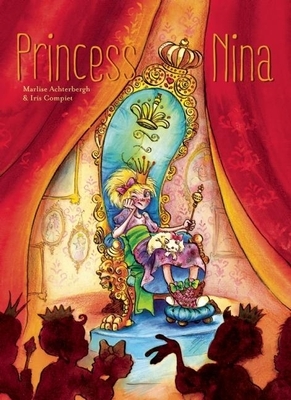 This book is Princes Nina. Iris Compiet is an illustrator based in The Netherlands. She draws inspiration from folklore, mythology, ghost stories, Victorian photography and contemporary movies and music.